As care becomes more proactive, so too must the supporting infrastructure- the technology, process and procedure driving the industry. Doctors and nurses no longer simply react to cause, but instead seek to affect healing, proactively. So central to today’s best practices are proactive care methods, that Medicare and Medicaid’s Value-Based Purchasing (VBP) program consider them in the Patient and Caregiver Centered Experience of Care/Care Coordination Domain (PEC/CC). The Hospital Consumer Assessment of Healthcare Providers and Systems or HCAHPS (pronounced H-CAPS) measures the effectiveness of care, specifically the patient experience as 25% of a hospital’s Total Performance Score (TPS). By proactively impacting these care measures, doctors and nurses can improve HCAHPS scores as measured by patients upon discharge. And of the above summary criteria, no facet is more aligned with Curbell Medical than ‘staff responsiveness to patient needs’. 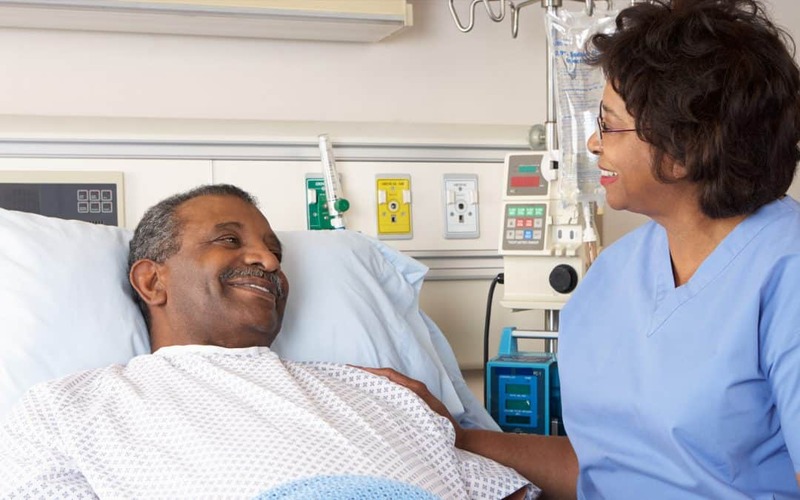 Staff responsiveness to patient needs can be reactive, and Curbell Medical products such as “nurse call patient controls” and “fall management” react promptly and efficiently. But by being there, by empowering patients and practitioners, these products are far from reactive – they are proactive tools of care that are revolutionizing the hospital room and driving positive care metrics. The first decades of digital technology in healthcare were about hardware. The next, software. Today, integration dominates the best technology solutions in the hospital. Today, for example, Curbell integrates fall management technology with nurse call. While integration presents interoperability, and platform economics and even entertainment options amidst standard care, most important to this application is the performance improvement. Consider this fantastic example of the value in integration between leading nurse call systems and Curbell’s fall management systems. Hospitals rooms can be noisy places with beeps and alerts galore. Reducing these noises are key to patient care and can perhaps positively impact HCAHPS measures or other metrics of patient experience. But the noises can also create the “boy who cried wolf” effect — the disbelief that any alert is genuine. With this concern, real, critical ‘falls’ are ignored, thwarting responsiveness and risking patient outcomes. But with Curbell Medical’s integration to nurse call, fall management is directed automatically, electronically to the nurse, silently alerting them to the concern without alarming or agitating the patient — a win-win in responsiveness. With proactive care important to quality care and intangible patient experience metrics associated with proactive care more important than ever, perhaps no brand is more specifically equipped to deliver improved outcomes than Curbell Medical. With a focus on patient experience, Curbell delivers TV and Entertainment solutions for interactivity, education, connectivity and control – these are increasingly important functions, perfected by Curbell. With a focus on responsiveness and empowering patients, the fall management and nurse call above are game-changers. As patient care becomes an exercise in proactive management, nothing takes the first step like a call to Curbell for the instant deployment of communication and patient-experience solutions that will positively impact patient outcomes —– and HCAHPS scores.